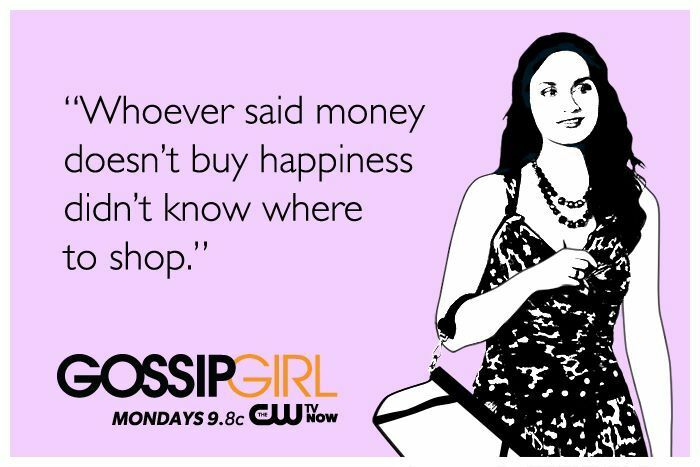 Blair Waldorf is the main character in all versions of the popular series Gossip Girl. 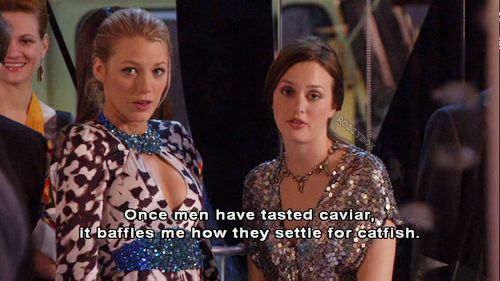 Best friend to Serena van der Woodsen, and eventual wife to Chuck Bass, she’s the tough but tender “Queen B” of the Manhattan social scene. And as the lead, she is given some of the best quotes and dialogue in the entire series. This was no different on the television version where Leighton Meester played her to perfection. The series officially ended in 2012, but after binge watching some episodes on Netflix recently, we remembered how many memorable lines her character had over the shows 6 season run. 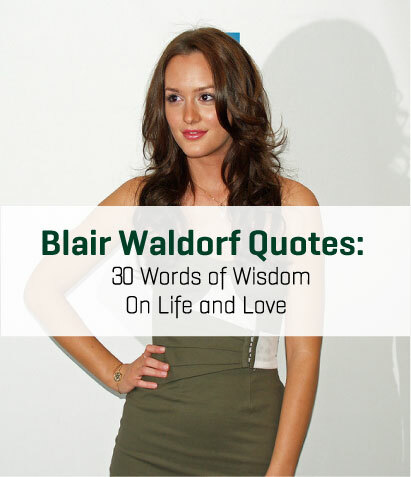 For that reason, we’ve decided to compile some of Blair’s most memorable lines on life, love and everything in between. Our thought: One of her most classic lines. It perfectly sums up how people settle for less in relationships. Our thought: Blair adds abit of humour on this one. Our thought: We’ve all felt it at least once. 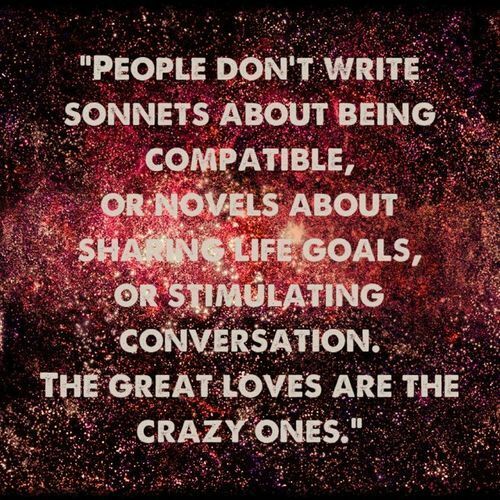 The kind of love that completely consumes you. Our thought: Another one of those tough break up moments. The realization that you’re with someone who brings out the worst in you. 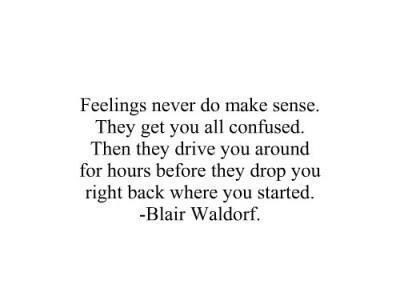 Our thought: Blair keeps it simple here. If you hate your job, or have one of those insane bosses no one can stand, quit. It really is that easy. Our thought: One of our absolute favorite quotes because it’s both accurate and motivational. Get out there and make things happen. Our thought: This one perfectly captures one of those moments in a difficult break up. “If you really want something you don’t stop for anyone or anything until you get it. Our thought: Another super motivational quote. What a great way to talk about the importance of never giving up on something. Our thought: Another classic about the intense feeling of an all consuming love. Our thought: A great quote on being taken for granted by someone. Our thought: Another classic about that crazy in love feeling every one will feel at some point. Classic. Our thought: We’ve all had those incredible connections before. Our thought: So well said. 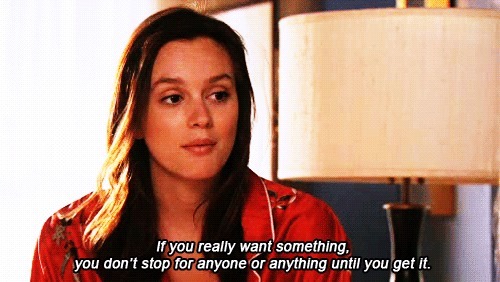 Here, Blair gets extra poetic on her explanation of fashion and style. Well said lady. Our thought: Blair channels a little machiavelli in this classic quote. Our thought: It really is that simple sometimes. Our thought: So incredibly true. One day you’re on top of the world, the next minute, you’re lower than low. Our thought: Blair gives advice on keeping your heart and mind in check. 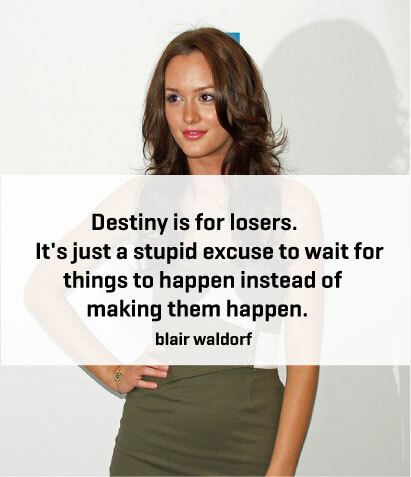 Our thought: Blair borrows a quote from Bo Derek on this one. Our thought: A reminder of the lasting effect New York has on us all. 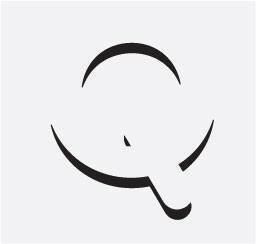 Our thought: What a great way to illustrate the turmoil you feel in those deeply emotional moments in life. 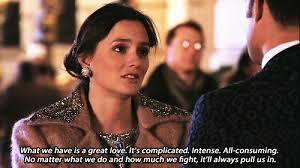 What are some of your more memorable Blair waldorf quotes. Who else would you like to see a collection of? Let us know in the comments.